What’s the hardest part about being Schmidt on the hit series, New Girl? The often naked Max Greenfield dishes about hanging on to Cece. 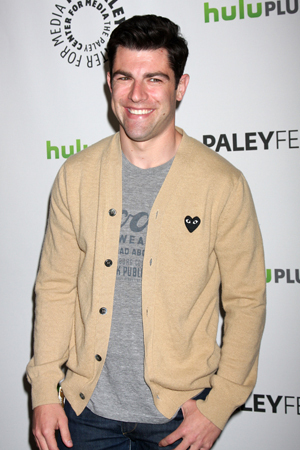 New Girl actor Max Greenfield rarely ever has his shirt on while playing Schmidt. And though his character may love the attention from his gorgeous bedroom buddy, Cece (played by Hannah Simone), Greenfield confesses that Schmidt’s constant need to be naked isn’t exactly easy for the actor and asks his fans for forgiveness as the episodes continue on. When Schmidt finally scored with Cece in New Girl’s Valentine’s Day episode, fans everywhere rejoiced — including Greenfield himself!